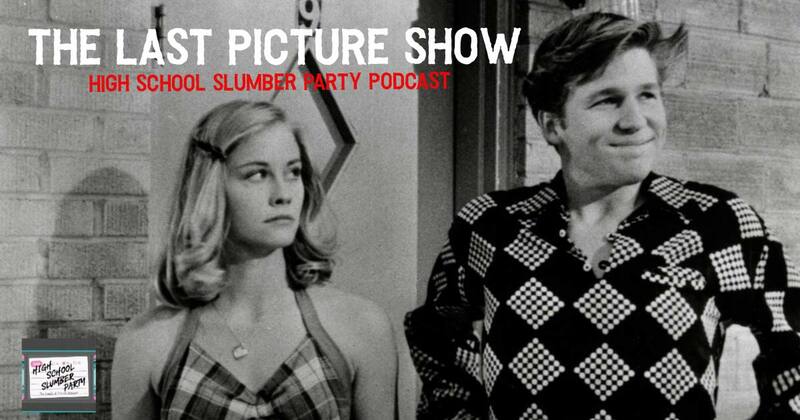 The slumber party switches gears this week as Brian is joined by Joey Lewandowski and first-time guest Tobin Addington of The Contenders to discuss The Last Picture Show, which is not only a great high school movie but one of the best reviewed films of all-time. With a cast led by a young Jeff Bridges, Cybill Shepherd, and Timothy Bottoms, along with veterans Cloris Leachman and Ben Johnson (who would both take home Oscars for their performances), this film is a sobering portrayal of early 1950’s life in small town Texas. Also: find out which one of our guests starred in a student version of American Pie and what films make Tobin’s 25!